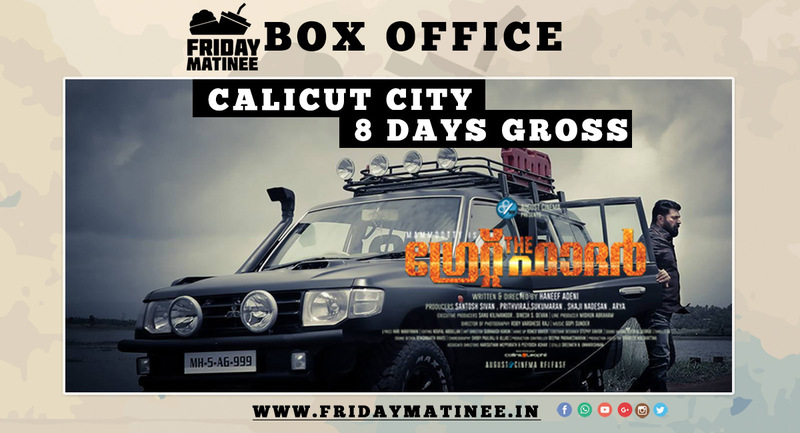 Megastar Mammooty’s The Great Father took a massive opening across the state and on his traditional fort Calicut,movie has rewritten records. 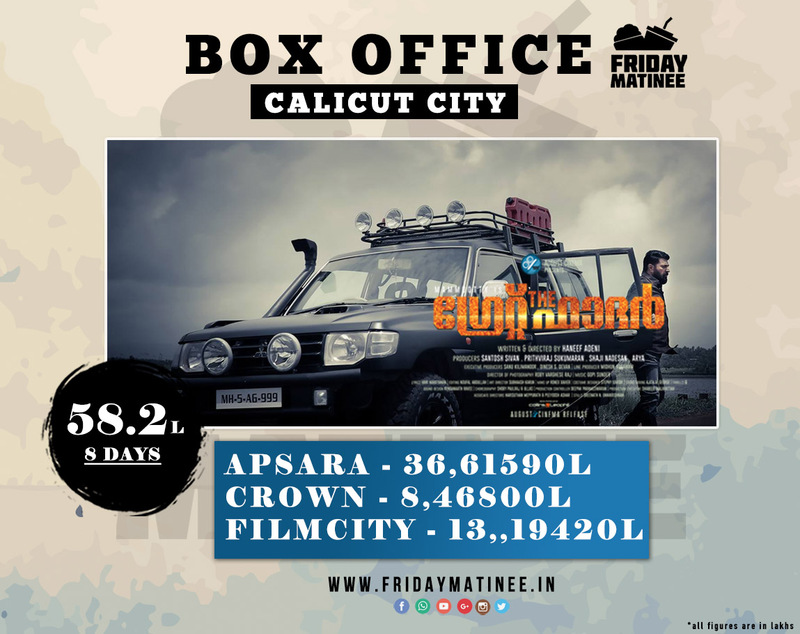 It collected a whopping 36 lakhs odd gross from Calicut Apsara theatre which is an all time 1 week record collection at Apsara Theatre. It has collected a whopping 58 lakhs gross from Apsara,Crown and Filmcity. With a steady weekdays,its sure that The Great Father will easily cross 1cr mark at the Calicut Boxoffice.